For the last month, I've been painting non-stop, preparing for a couple of opportunities. 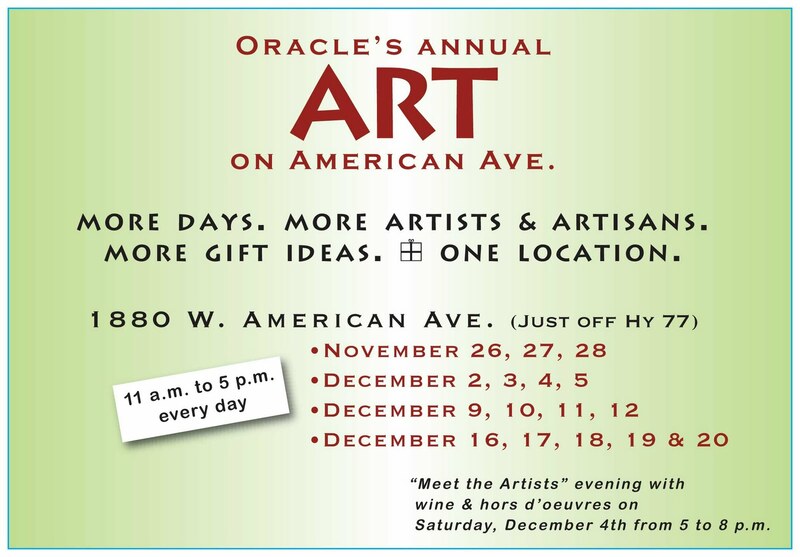 One is the annual Art on American Avenue show/sale here in Oracle. Last year, our first in Oracle, Jim and I were invited to participate in this event. Each year, a temporary location is leased by a group of artists who get together to display and sell their work. 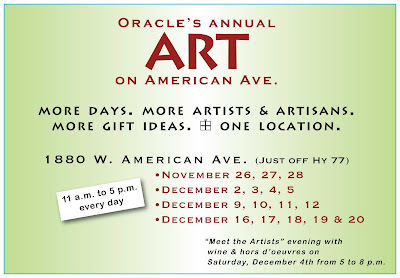 It was a great way to meet Oracle artists last year and we're both happy to be able to participate again this year. We have a great space, wonderful light, and it's heated, which is a big improvement. I bought nearly all of my holiday gifts at Art on American Avenue last year. In addition, a Small Works exhibit is opening tonight at the Duley-Jones Gallery in Scottsdale. I will have at least one, maybe several paintings of water reflections in the show. The gallery is located on Main Street and the opening is from 7 – 9 pm tonight. The work will be up through December 23.